Four decades after first gracing our TV screens, belting out the tremendous ‘Top of the Pops’ on the iconic BBC chart show of the same name, the alluring Fay Fife clearly still has a passion for rock’n’roll. 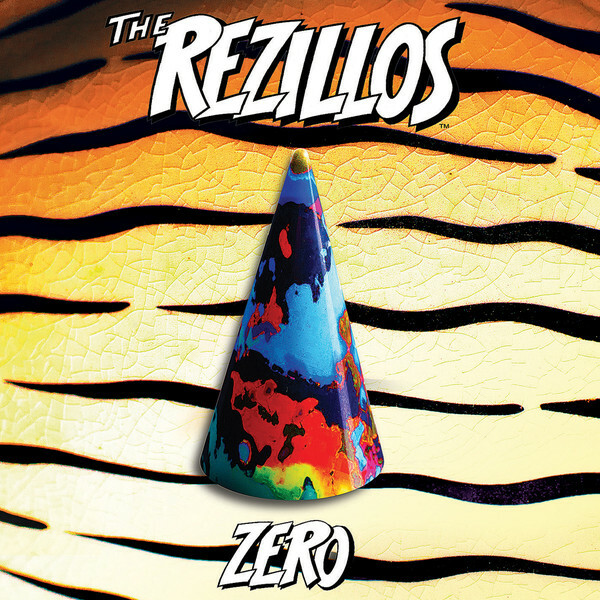 Anyone who’s caught The Rezillos live knows that, and from this week onward she’ll be leaping about at venues up and down the country again, out front with co-founder Eugene Reynolds, 42 years after they first teamed up north of the border. A shared love of ‘50s rock’n’roll and ‘60s garage bands inspired them initially, punk rock providing the spark for a ‘new wave beat group’ who could never be accused of taking the more po-faced approach to their art. 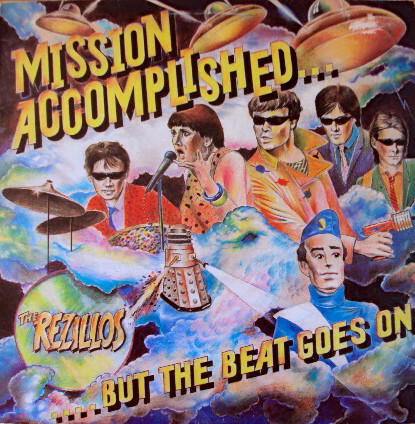 In 1978, the Edinburgh College of Art formed outfit made an impact with debut LP Can’t Stand the Rezillos, following that with mighty live follow-up, Mission Accomplished…But the Beat Goes On! By the time that latter Glasgow Apollo show was committed to vinyl they’d already split though, guitarist/songwriter Jo Callis going on to join The Human League, in time co-writing several more top-20 hits, including the Sheffield synth-pop stars’ sole No.1 hit, ‘Don’t You Want Me’. However, Fay (real name Shelagh Hynd) and co-vocalist Eugene (real name Alan Forbes) reconvened to co-front The Revillos, carrying on until 1985, and the band’s pulling power endures all these years on. 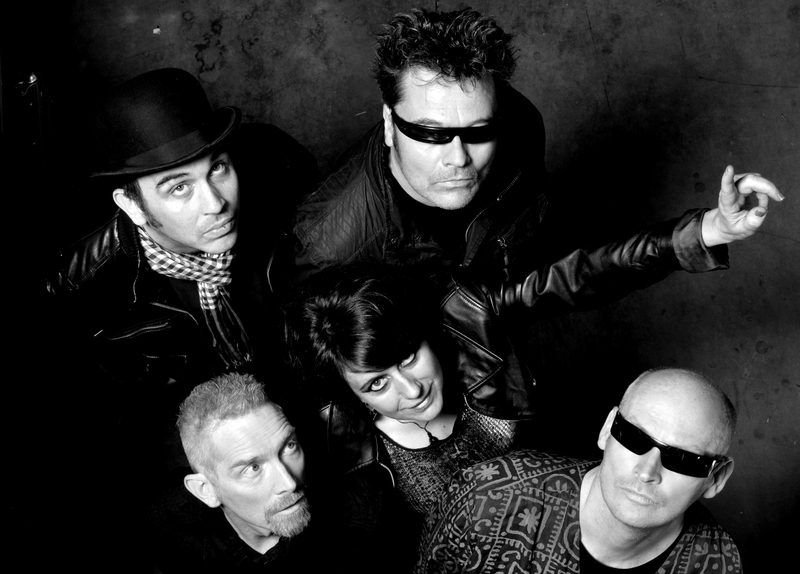 The Rezillos briefly reformed in the mid-‘90s for a number of Japanese and UK dates, with Jo Callis back on board around then, getting back together again – this time for good – in 2001 after an invite to play Edinburgh’s Hogmanay celebrations. And while the current band – with Fay and Eugene joined by fellow founder-member Alasdair ‘Angel’ Paterson (drums), 2008 recruit Chris Agnew (bass) and 2010 recruit Jim Brady (guitar) – remain busy with other music projects, they still get together when they can. That includes occasional recordings, their most recent LP of fresh material, Zero, landing in 2015. But right now, they’re heading back out again, proving – all these years on – that The Beat Goes On! At this stage I professed my long-term love for the band, not least that splendid debut LP and the record that followed, which remains one of my favourite live albums. While the Flying Saucer Attack: The Complete Recordings 1977-1979 compilation landed courtesy of Cherry Red earlier this year, it’s fair to say The Rezillos are hardly the most prolific of acts, taking 37 years to get around to releasing that second studio album, Zero. Will we have to wait that long for the next one? Incidentally, Fay’s son’s father was Revillos guitarist Kid Krupa, a ‘very fine guitarist and producer’ who died in his early 40s in 2005, having joined the Mk. II outfit in 1980, aged 17, later becoming a session player for the likes of Tim Finn, Roger Daltrey, Del Amitri, Bonnie Tyler and Shakin’ Stevens, later returning to the ranks for the mid-‘90s shows. Fay also remains involved with the University of Edinburgh, where she studied after the band’s first two incarnations, these days providing services in ‘therapy for people with addiction problems’, a sideline she feels keeps her ‘fairly grounded’. But make no mistake. This is no highbrow concern. 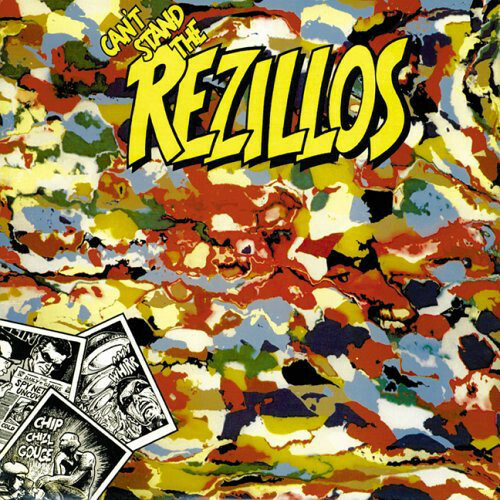 Aside from the more serious side of punk, The Rezillos always struck me as more fun, with plenty of touches of art-rock experimentation about them too. “I think you’re right, and there are different sorts of laughter, I guess. And if you’re feeling creative and working with creative people, you laugh very easily and humour is part of it. If you’re going to be over-serious and dour, even if you’re writing a serious song, it kind of deadens things. We’ve always had that angle to us, and are still able to tune into that. That certainly shows in their stage presence. Is it easier to get on with each other all these years on, or was that never an issue? And there’s still a love from the band across the world, as proved by the last two decades’ adventures. The travelling continues, and not long ago they had a get-together with several fellow punk luminaries in Germany, celebrating a successful LP by former John Peel favourites Die Toten Hosen, also involving past WriteWyattUK interviewees Steve Diggle (Buzzcocks), JC Carroll (The Members) and Damian O’Neill (The Undertones), among others. That’s a shame. Maybe I’ll ask her again sometime. But seeing as I mentioned WriteWyattUK favourites The Undertones (and it doesn’t usually take me long to get on to that subject), I’ve heard great stories about their time with Sire Records, not least with Seymour Stein. How was your own experience with that renowned label boss? While we’re talking travel, this year alone has included festival dates in Spain, Italy … even Canada. “Yeah, we’ve really been galloping around the place, and these were really nice things to play. We’ve done quite a lot of travel in Spain. We’re quite popular there. We do a lot of shows and keep on doing this because we know we put on a good show and enjoy doing it. Somehow, it’s now been 42 years since it all began. Can Fay remember much about the first show? And was there a lightbulb moment when they realised this had real potential? “I think there were several lightbulb moments, but I think the key one was at our first gig. There was another singer in the band then, Gail (Warning), and we made our stage outfits that day, really unusual things for the time. I had a red plastic dress and she had a green plastic dress, and everyone turned up that night like themselves but a slightly exaggerated version. “When we got on stage, something happened. You’ll have to remember that The Rezillos was my first band, whereas among us two or three of us had another band at the same time. So I’d never really been on stage with a band until then. But Eugene said – and I wasn’t aware of this at the time – it was really clear once we started singing that something else happened and took over, some sort of performance thing. There was also that love of ‘50s rock’n’roll and ‘60s beat bands that you had in common. But there seems to be a blurred line between the likes of The Rezillos and pioneering US bands with similar influences like The B-52’s and The Cramps. Did they predate them? This tour includes a visit to La Belle Angele in Edinburgh (Friday, October 19th). Is it always good to have a hometown gig? “Well, yeah, and we did a gig here in early summer for a big exhibition of pop music, Rip It Up, with this festival to celebrate the opening. But this is our own show, so that should be good too. When I spoke to Eugene for this website (April 2014, with a link here), he told me life’s always been ‘birds, booze and bikes’ or ‘music, motorcycles and madness’. 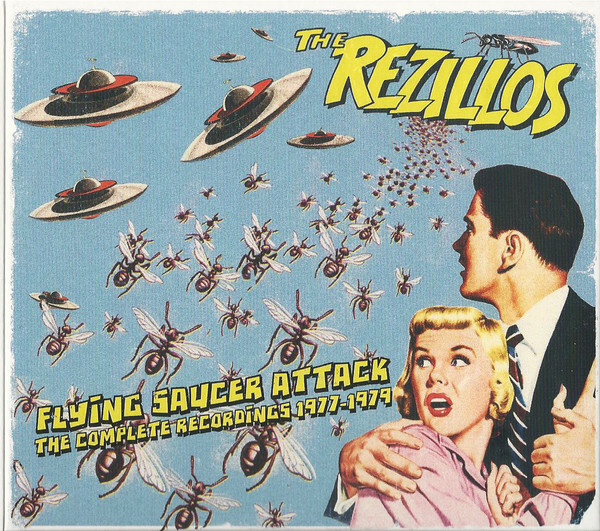 How would Fay describe her own experience with The Rezillos over the years? What indeed. And does she still get people asking about her acting days and appearances in Taggart and The Bill? “No, you’re the first person who’s asked me for about 15 years or something! It was just such a small part of my life. I didn’t really take to acting very much. I really loved doing lots of improvisation but didn’t really take to it other than that. It was more like a side-step. It was interesting, but it’s music I really like. “Interestingly though, I’m currently working with an actor and I understand a bit where she’s coming from, because I’ve done a bit of that and understand it from a different performance perspective. Even though I’m not an actor and I’m not theatrical, I’ve been there to some extent. Finally, when I think of The Rezillos, I think not only of those first two albums but also one of those memorable Top of the Pops appearances in 1978, Fay decked out in classic ’60s chic, behind the boys but still hogging the camera shots in lurid green and orange spotted white mini-dress, huge hoop ear-rings, and orange tights, with plenty of excessive pointing at the audience during the chorus as if to underline the irony of the lyric, the location, and the occasion. But are there moments across the band’s history that stand out above all others more for her? “To me, the first of two great peak moments of everything I’ve been involved in goes way back to when The Revillos were touring America. We did it on a fairly small scale, although we played a few shows with a pretty big capacity. We were in a mini-bus, and traveled all over, including down to Tucson, Arizona, and through the Grand Canyon, and over the Rockies. It was like being in an extended, bizarre musical adventure. It reminded me of Scooby Doo, such an amazing experience. I can understand that, and there must be moments where you realise this isn’t such a bad way to make a living. 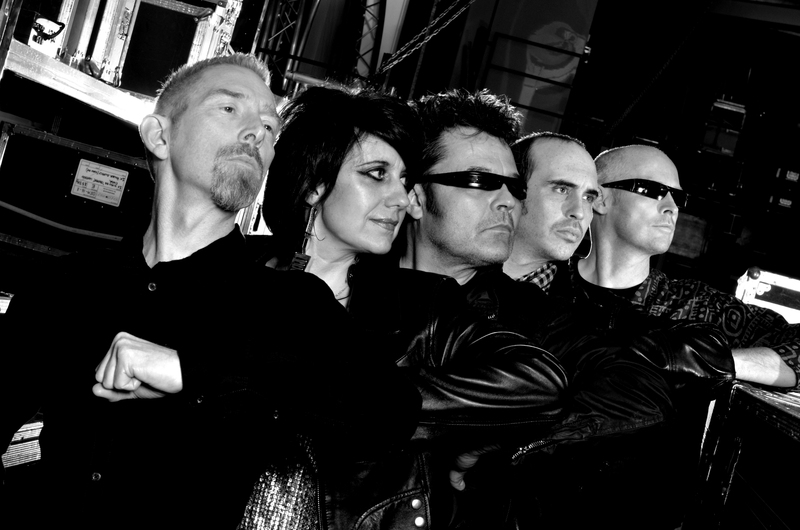 The Rezillos and support Department S kick off their autumn tour at Preston Guild Hall LiVe on Thursday, September 6 (01772 804 444, with details here). For more dates and all the latest from the band, try their web, Facebook and Twitter links. This entry was posted in Books Films, TV & Radio, Comedy & Theatre, Music and tagged Angel Paterson, Edinburgh, Eugene Reynolds, Fay Fife, glasgow, Jo Callis, Kid Krupa, New York, Preston, Rula Lenska, Seymour Stein, Sire, The B-52's, The Cramps, The Human League, The Revillos, The Rezillos, Top of the Pops. Bookmark the permalink.